I like all sorts of tarts, pies, pites (Greek savory pies), but I do not like having to make the crust, or using the ready made crusts that usually contain some sort of unknown vegetable fat along with 10 other ingredients. But I do like phyllo, here in Greece you can find different types of phyllo: thicker types, with olive oil, very thin etc. But I use the regular kind, which only contains flour and corn starch, so I don’t feel so bad, brushing it with olive oil later. 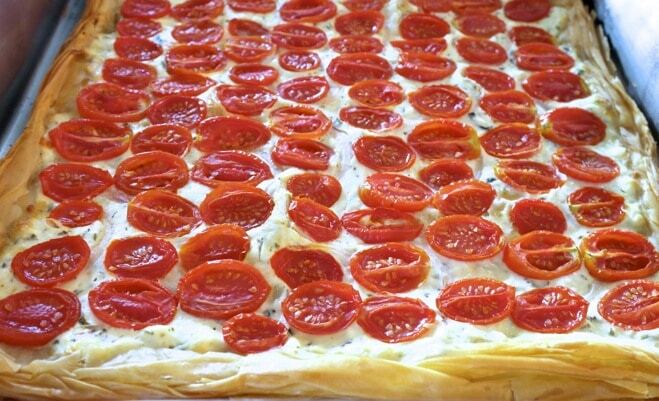 So for this tart, I had a bunch of small tomatoes from Crete which are very red and taste wonderful. They are called acorn (velanidi in Greek) tomatoes, because of their shape, so they are not exactly cherry tomatoes. The cheese filling is a combination of yogurt, feta and mint. 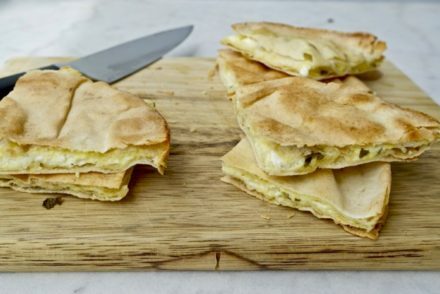 When you taste this it’s like eating a nice cheese pie (tiropita) but without all that phyllo. Make sure you get good feta and not the yucky, chalky kind-find out how to pick good feta by reading this post. 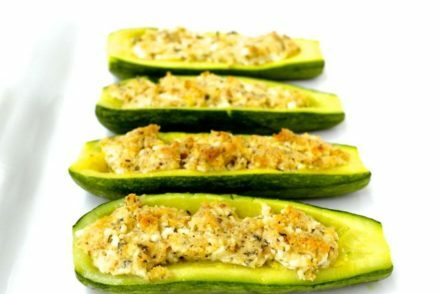 This is a good snack, as you get a serving of vegetables along with the protein and a bit of starch and it is fairly low carb. 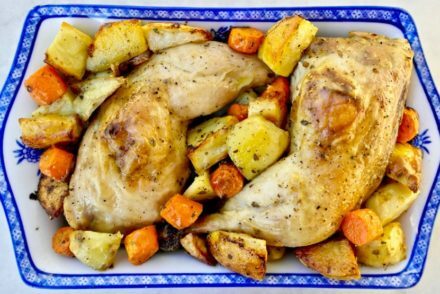 But it can be a light meal if you accompany it with some salad. We ate this in aday, had some for lunch, and later in the evening I cut the rest in bite-size squares and we had it with some red wine. If you don’t have mint, which for me mint and feta is the perfect match, it reminds me of my grandmothers pites, you can use basil as well. I don’t really add any salt as the feta is pretty salty, but you can add a 1/2 teaspoon to the mix. 2. In a bowl smash the feta with a fork, add the yogurt and mix well and then add the egg. Mix in the mint and a bit of pepper and mix well. Put aside. 3. Cut the tomatoes in thin slices. 4. Take out the phyllo (de-frosted if frozen) and a pan a bit small then the dimensions of the phyllo sheet. 5. Brush some olive oil on the base of the pan and spread the phyllo sheet. Brush olive oil on the phyllo sheet and place another sheet brushing with olive oil every time. Continue this until you have used 6-7 sheets. 6. Roll up the edges of the phyllo, so you have a little border around the tart. 7. Spread the feta mixture evenly over the whole tart. Then place the tomatoes on top. 8. Bake for about 30 minutes. I usually put the pan all they way at the bottom during the last 5-10 minutes to get a crunchy base. This tastes better the next day at room temperature. Thanks Lisa. Limnos has some wonderful products, you are very lucky to be going there.